"There are few names in the field of paranormal research as prestigious as Rosemary Ellen Guiley. 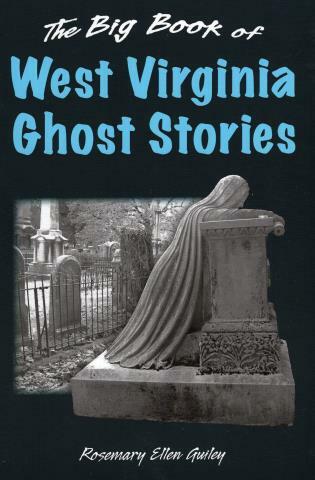 The Big Book of West Virginia Ghost Stories is a fantastic collection of the Mountain State's ghostlore. Guiley takes readers into the legends and the phenomena like no one else can. She puts new perspective on the stories you knew and digs up new ghosts still waiting to be discovered by the masses." "Rosemary Ellen Guiley's latest book leads you on a phantasmagorical passage through the mountains and valleys of the state. From the earliest specters spawned by George Washington's family to the ghosts presaging the bloody Civil War in Harpers Ferry to the still-perturbed spirits of the Hatfields and McCoys, she casts a wide web over the small state. Entertaining, enticing, and totally enjoyable, The Big Book of West Virginia Ghost Stories is a worthy addition to her writings on the paranormal." Rosemary Ellen Guiley lives in Connecticut and is one of the leading experts on the paranormal, with more than 50 published books on the subject, including The Encyclopedia of Ghosts & Spirits (978-0-8160-6737-4) and The Encyclopedia of Witches, Witchcraft, & Wicca (978-0-8160-7104-3). She has worked full time in the paranormal since 1983, researching, investigating, writing, and presenting at conferences and seminars. She has been featured on the History Channel, A&E, SyFy, Discovery, Animal Planet, and Travel Channel.